Happy 2011 everyone! I’m so excited to see what this year brings! 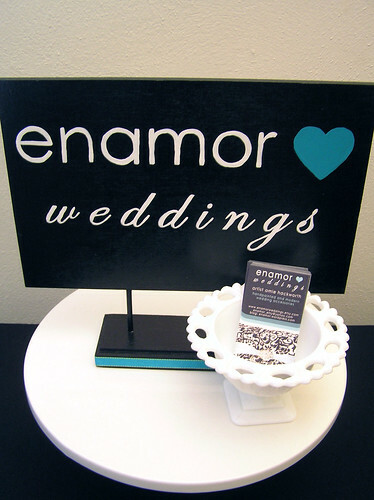 My vision for this year is expanding my enamor wares to include exclusive wedding items. I had so much fun planning and making things for my own wedding that took place this past September, I wanted to give other couples the opportunity to experience that handmade touch for their own big day. I’m a die-hard crafty person at heart, so my big day just wouldn’t feel right if I didn’t have a big part in planning and making a lot of the details. I made my ring pillow, bouquet (plus boutonnieres and corsages for thirteen people), card box and lots of decorations at the reception. Luckily, I have a crafty mom too, which helped! 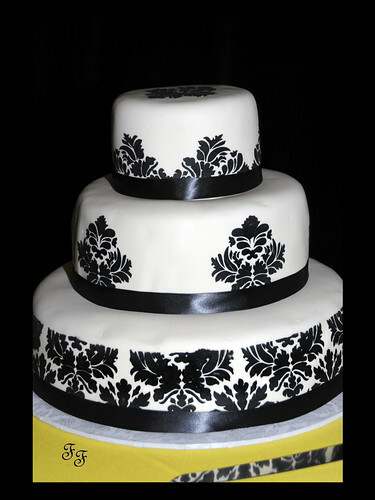 My mom practiced for months with fondant, frosting and stencils to make my fabulous wedding cake. Being able to make things for my wedding were kind of way to escape from all the stress of planning, but also inspiring. It’s almost hard to explain the feeling of seeing a vision in your head and being able to produce something with your hands which is exactly how you envisioned. I get that feeling with my regular crafts too, but there was something different with the wedding crafts- even though my wedding was over, I still had the desire to make more. 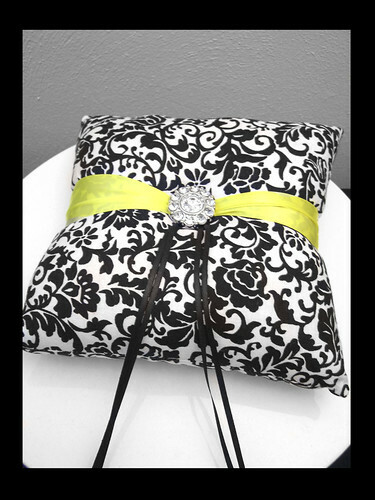 I have been painting and crafting with my original Etsy store, enamor, since 2006. The past couple years for enamor have been fantastic, despite the lull in the economy. I have met so many wonderful and talent people! 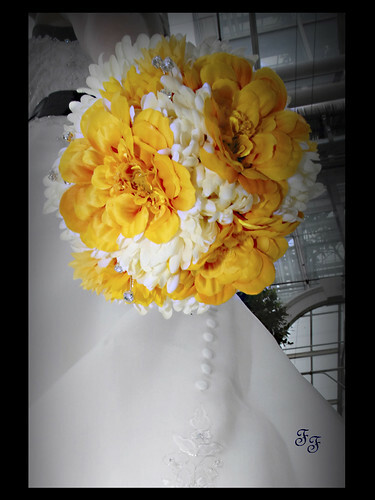 I’m excited about the expansion of my business into the realm of handmade weddings and the new places and people to come in the future. 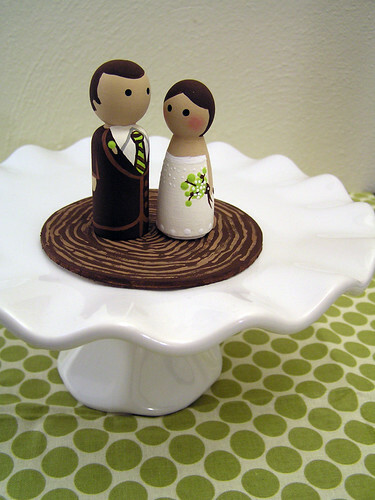 Etsy features articles on handmade weddings on their blog, the Storque , called Handmade Life. 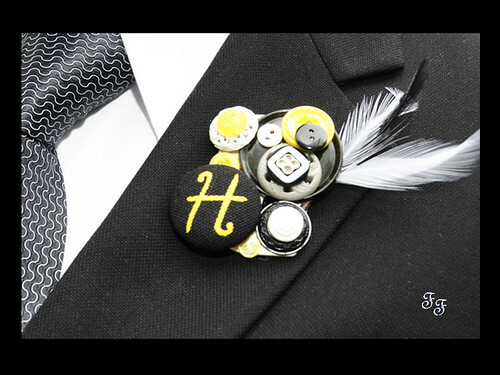 Each article features a couple who incorporated handmade elements into their wedding. Know what’s another good feeling? Finding out you’re not the only person out there doing something that’s out of the ordinary! 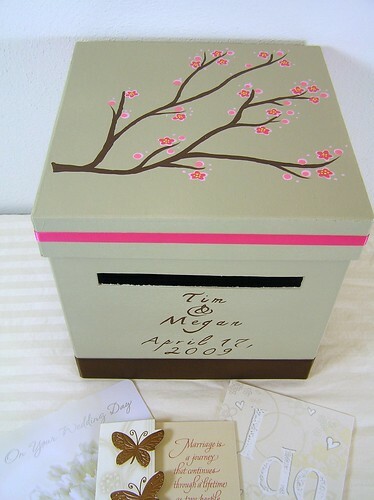 The enamor weddings line will feature handpainted (of course!) 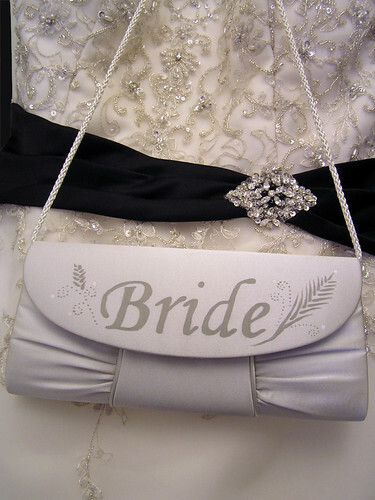 bridal handbags, ring pillows, card boxes and wedding cake toppers. The new Etsy shop will open at the end of January, but that doesn’t mean I’m not making things! 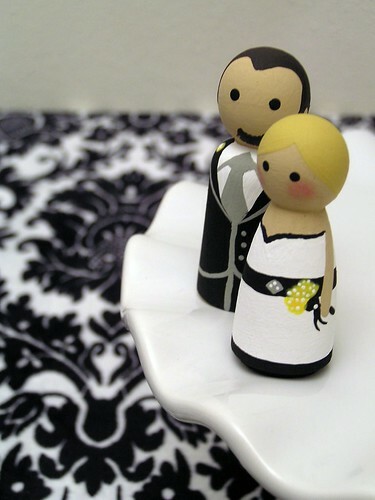 I’ve been having a blast painting mini bride and groom cake toppers. I am super thrilled to be traveling to St. Louis, MO in March to be part of Off White- An Indie Wedding Show. Its like an indie craft show, but for weddings! Off White was created by Brea McAnally, who is a professional photographer. Brea hosted Off White for the first time last year for the off-beat couples who wanted a more personal, creative, and handmade touch to their wedding. This year promises to be bigger and better than last year with over fifty vendors, a fashion show, and not to mention, wedding must haves you won’t find anywhere else! I have been busy planning and crafting for this most exciting opportunity to showcase my new wedding wares. If you will be in or around the St Louis area on March 20th, and are planning a wedding, I would highly recommend planning on attending. You can even buy advance tickets online! For more information about Off White, check out the website. While I’m busy crafting away, stay tuned- a crafty giveaway just in time for Valentine’s Day is in the works!